In 1992, Nell Newman approached her father, Paul Newman, with the idea to create a new line of organic products. They were provided with $15,000 dollars to research organic foods and to come up with a business plan. In 1993, they began a new division of Paul Newman’s company called Newman’s Own® Organics: The Second Generation. With the success of their vision of providing high quality organic foods, they became an independent company in 2001. Beginning with white flour organic pretzels, the company has vastly expanded their line of organic products to include about 160 products. Nell has recently been named one of the Top 25 American Food Entrepreneurs by Gourmet Magazine. In addition to several snack foods, Newman’s Own® Organics also offers coffee, tea, olive oil, balsamic vinegar, organic dried fruit, and pet food. Certified organic by Oregon Tilth, foods by Newman’s Own® Organics contain ingredients that have been grown on farms that have not used artificial fertilizers or pesticides for three years or more. Since 1982, Paul Newman and the Newman’s Own Foundation have donated over $300 million dollars to various educational and charitable organizations around the world. Our Virginia Home was recently provided a variety of items from Newman’s Own® Organics to review. With the assistance of some of our close friends, Matt and I have listed our opinions on how the products tasted. We loved each of the varieties of licorice. We were actually surprised that four of the varieties were described as sour. With sugar crystals coating the sour licorice twists, we mostly tasted citrus and sugar. One of the flavors – Mango – was somewhat bitter and had a strong hint of citrus. The licorice twists were also chewy. When the box that contained our products was opened, all you could smell was chocolate. Our kitchen cabinets smelled like chocolate. With cocoa ranging from 54% to 70%, the chocolate bars were rich enough that a small piece was all you needed to feel satisfied. The chocolate bars not only have nice packaging, but also have a shiny brown appearance. The chocolate snaps off cleanly when you break a piece off. Best of all, the chocolate does not feel oily or sticky in your mouth as you eat it. Again, the chocolate was delicious. The cup fillings were creamy and complimented the chocolate. Each package contained 3 cups. Among our friends, we shared each of the flavors to get their opinions. We loved each of them! If you really like caramel, you would like the caramel milk chocolate cup! The Vanilla Alphabet Cookies were a product that could definitely become a regular snack in our home. They were very similar to a popular brand of animal crackers that we like, but with the benefit of being organic. 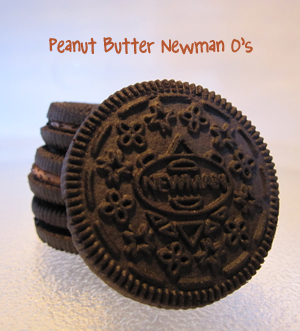 Of the four flavors of Newman O’s, the Ginger ‘n’ Cream were our favorite. If you like ginger snaps, you will really enjoy these. The chocolate cookies with a peanut butter filling were also popular with our friends. They have a license with Nabisco (Kraft) to use the name Fig Newman’s ™ for their line of organic fig bars. They were generously stuffed with a fig filling. They were actually a very filling snack with the benefit of being fat free. 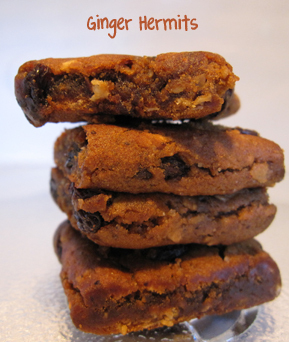 These are a soft cookie that have ginger, molasses, and giant organic raisins. We found that just one cookie per serving was filling. The High Protein pretzels are made with yellow pea flour and contain 5 grams of protein per serving. We liked each of the three types of pretzels, but the Salted Rounds were our favorite because we prefer salty pretzels. If you are trying to watch your salt intake, they have several varieties that are unsalted. Although the mints that we received for the review were in bags, they also carry some in tins that have decorative illustrations. Each of the four flavors are fresh and would work well to carry around for a quick breath freshener or to settle your stomach. Unlike some dried fruit, these didn’t have an odd aftertaste. The Mixed Berry is perfect for adding to baked goods, cereal, or just to eat alone as a snack. It would be great to see this line expanded into a healthy alternative to prepackaged gummy snacks that are often used in lunches of children. Enter using the Rafflecopter form below. Open to US, 18+ older. Open from June 26th to July 20th, 2012. Please also read Terms. Our Virginia Home received items for review from Newman’s Own® Organics. However, only our honest opinions were expressed. Reading, PA is the pretzel capital of the world! Reading, Pennsylvania is the “pretzel capital of the world. Pretzels were used in medieval marriage rituals. I learned Pennsylvania is the Pretzel Capital of the World! I am so excited that everytime I turn around Newman’s Own is making another product. I did not know they made pretzels or licorice. (I live in FL and have not seen these.) My favorite is the Ginger Creme cookies- yummy! 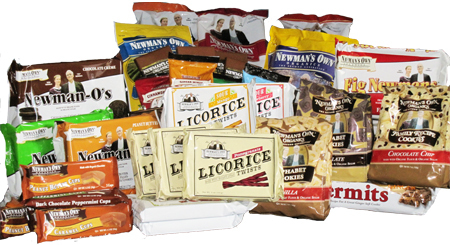 I did not know that Newman Own had various kind of licorice or dried fruit. All of it looks good. Pennslyvania is the pretzel capital of the world. Sturgis is the first pretzel bakery in the US too. I had no clue that someone actually was flying a two-foot wide pretzel into Columbus to celebrate Ohio’s first legal glass of brew, LOL! Can you imagine seeing that?! I’m addicted to the Newman’s Own ginger mints! i never knew there was a “pretzel bowl”.. i want to go! Reading, Pennsylvania is the “Pretzel Capital of the World” and just down the road is the Rodale Institute. Reading PA is the Pretzel Capital of the entire world! I did not know that Reading, Pennsylvania is the “Pretzel Capital of the World”! That was really interesting. there were pretzel bars? or I could write that Reading, PA is the pretzel capitol of the world, like everyone else, but it’s also a Monopoly property. My husband would love the ginger cookies….OK, I confess, I would, too! Did not know about any pretzel capitols in the us, let alone in Reading! I would LOVE to win this to sample with my monthly womens group! We always love trying new things! Reading, Pennsylvania is the Pretzel Capital of the World. I learned about the new-first-of-its-kind monthly FREE! fun web magazine for children, parents and educators at Kidsregen.org. Thanks! Monks trying to figure out how to use old dough created pretzels. The PA Dutch community is why pretzels are so popular in America! The Latin word for the treat was “brachiola”–little arms. At least one medieval marriage ritual involved the humble pretzel. The bride grabbed one loop, the groom the other; they each made a wish and pulled. Whoever got the bigger piece would have the dream come true. Arms were linked, the pieces eaten. 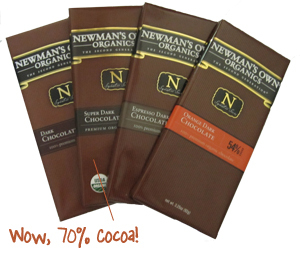 Newman’s Own Organics’ products are all certified organic by Oregon Tilth! Reading, Pennsylvania is the “Pretzel Capital of the World.” I’ve been through there, but I never knew that. Reading, Pennsylvania is the “Pretzel Capital of the World” and only 20 miles down the road from the “Pretzel Capitol” is the renowned Rodale Institute. I learned that Reading, Pennsylvania is the Pretzel capital of the world. when a baker kept the flame on too long, the hard pretzel was born. For centuries pretzels had been soft, like bread. The Pennsylvania Dutch, with origins in “bretzel”-loving Germany and Austria, were the keepers of early America’s pretzel flame. And, when a baker kept the flame on too long, the hard pretzel was born. Nell Newman is Paul’s daughter and she “wants people to really think about where their food comes from”! The first product was an organic pretzel. It fast became the top organic pretzel in the natural food market. Nell says that Reading, Pennsylvania is the “Pretzel Capital of the World”? Based on what I wonder? Still, I love pretzels. Reading Pa is the pretzel capital of the world. Interesting. i hadn’t known it was a daughter of Paul who started the company. It was never advertised like a family business. That is a suprise to me. I didn’t know that Reading, PA is the pretzel capital of the world. I learned that Reading, Pennsylvania is the “Pretzel Capital of the World.” Rodale Institute has been educating folks world wide for almost 60 years on the connection between Healthy Soil, Healthy Food, Healthy People. The pretzel capital of the world is Reading, Pennsylvania – Thanks! Organic Food Pioneer Nell Newman wants people to really think about where their food comes from. Learned the fact that Pennsylvania is the Pretzel Capital of the World. Healthy Soil ! Healthy Food! Healthy People! I completely agree with Nell.